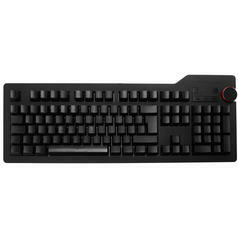 Split and extremly felxible ergonomic, mechanical keyboard with quiet yet tactile, ALPS switches. Splitted ergonomic keyboard that adjusts perfect to your needs. Quiet Click ALPS Mechanical Switches. Removable palm supports, variable legs, and cable. The Matias Ergo Pro might be the most adaptable of all keyboards. It's high quality boasts several features and is perfect for those who type a lot and don't want carpal tunnel syndrome or tired fingers! Thanks to the perfect weight of the halves (460 and 540 g) and the rubber feet, the keyboard stays just where you want it to. The halves are connected via a cable which includes a small cable drum, so it's always tidy, even when you put both halves together. Both elements can be equipped with gel palm supports that can be fixed with the enclosed screws. This is good for your carpus and nerves, plus your hands won't get tired too fast while typing. 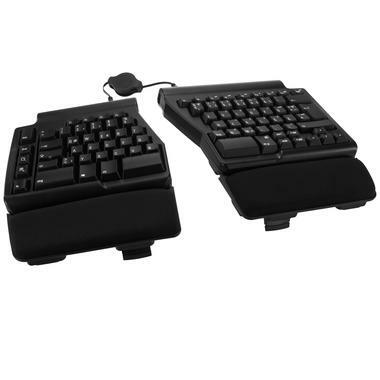 The foldout legs allow you to tilt the keyboard both ways, or simply makes it a little bit higher. The Matias Ergo Pro runs with Matias Quiet Click ALPS mechanical switches, which provide a tactile switchpoint and are quiet at the same time. No more annoying your co-workers with your loud typing! -Durable laser-etched lettering that will last for years. -Hotkeys for undo, cut, copy, and paste. -3 additional USB 2.0 ports. 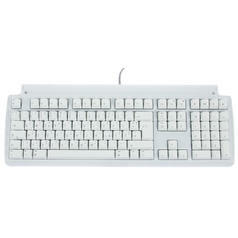 -Typical sculpted keytops and wide space between the keys prevents sliding off and mistyping. -N-key rollover several keys that pressed at the same time are all recognised. Great for gaming. -Media control with the FN keys. In spite of its big, comfortable keys, the Matias Ergo Pro isn't much bigger than a regular laptop keyboard. This means that your fingers only have a short distance to travel. What does this all mean? Well, it all makes for an optimal keyboard! Comfortable, super functional and with easy typing, the Matias Ergo Pro is ideal for anyone who spends a lot of time at their keyboard. Available in DE and US layouts.